The ideas are simple, yet ingenious! Brad Downey is a Readymade maniac and the king of urban interventions, light and playful and mostly with a dash of fun and irony. You can spend hours and days looking at the fine details that make him so special. And yes his homepage has recently been updated. Find some good words written by Jennifer Thatcher and watch out for his book called »Spontaneous Sculptures« released in September 2011. 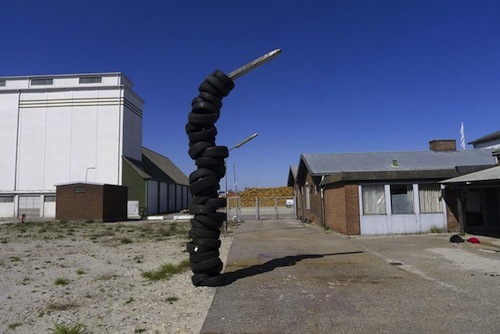 »Tire Stack«, 2011, KØS, Denmark. 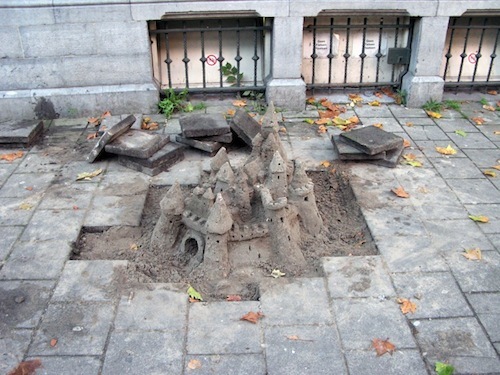 »Castles Beneath Cities«, 2008, Amsterdam, Netherlands. 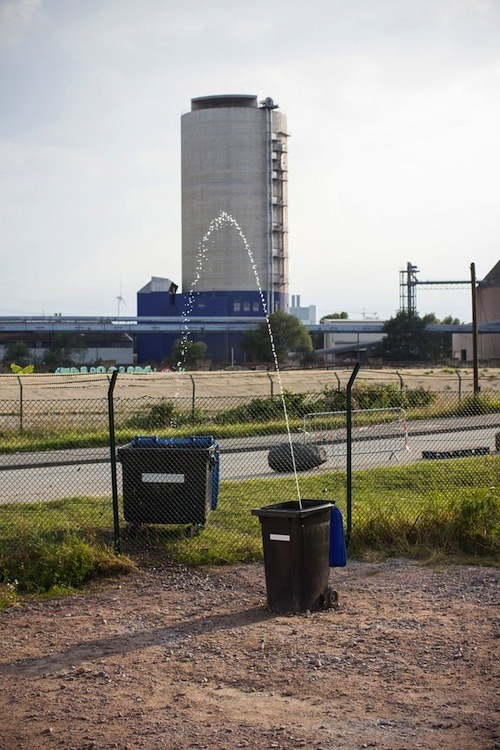 »Domesticated Waterfall«, 2012, Grottaglie, Italy. 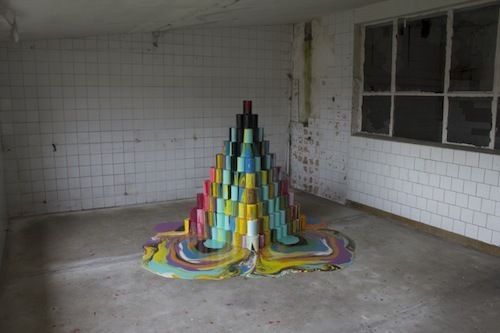 »The Pyramid«, 2012, Warsaw, Poland.